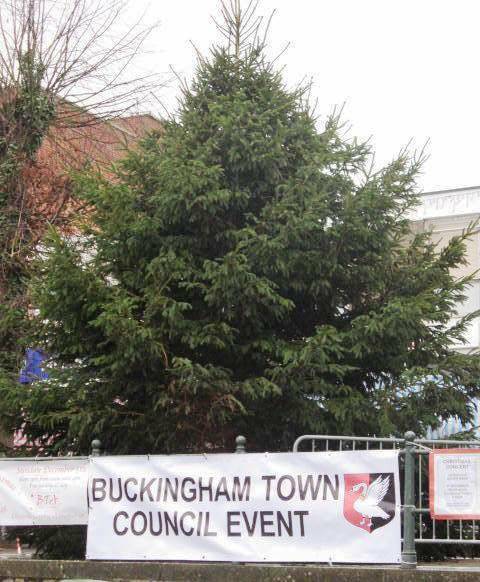 To enquire about availability and booking of a banner space, please contact Louise Stubbs at: office@buckingham-tc.gov.uk or on 01280 816 426. Buckingham Town Council may remove any banner which does not have permission for display from Buckinghamshire County Council or (within the town area) the Town Council. For banners with permission, contact details will have been noted. For unauthorised banners attempts will be made to contact the owner if they can be deduced from the content. 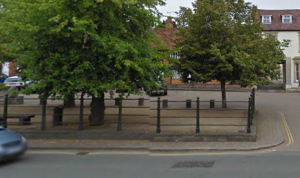 Any banners removed will be kept for one month and then disposed of as the Town Clerk or authorised representative of the Town Council decides. Banners may only be sited where they are not a traffic hazard both in themselves or by causing drivers to slow or stop in order to read them. The Cattle Pen railings opposite Cornwalls Meadow Car Park, and the Old Gaol entrance. Banners must be of good quality, waterproof, fixed securely, and have minimal wording in print of sufficient size to be read easily and quickly. They should not exceed 6ft in size. Banner display can only be booked for one week at a time, and only one banner at a time will be given permission. In general, banners will be acceptable if advertising local events or events within the immediate locality. Commercial advertising will be subject to the appropriate planning permission and the Town Council will not give permission for such. National Charity advertising is acceptable if there is some local input/branch/event eg Marie Curie Cancer Care, Alexandra Rose Day, Poppy Appeal, Blood Donors. The Town Council takes no responsibility for the security of any banner while in place. Appropriate care of removed banners will be exercised until collected or disposed of per paragraph 2.